The best stories in life are usually real ones. The tale of Tashi Wangail, founder of Gesar Travel, is improbable, exciting, and of course very very real. Let’s find out how a mountain shepherd boy became a successful tour operator. 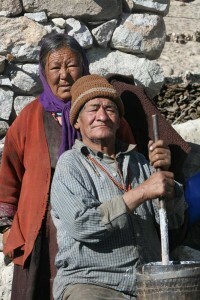 Tashi was born in 1969 in the village of Khardong, 4000m up in the mountains of Nubra. He is the fourth of five brothers, all men, and his parents are still farmers today, as they were then. Tashi’s childhood in the countryside was marked by the change of the seasons and the cyclic work on the fields, always surrounded by farm animals. 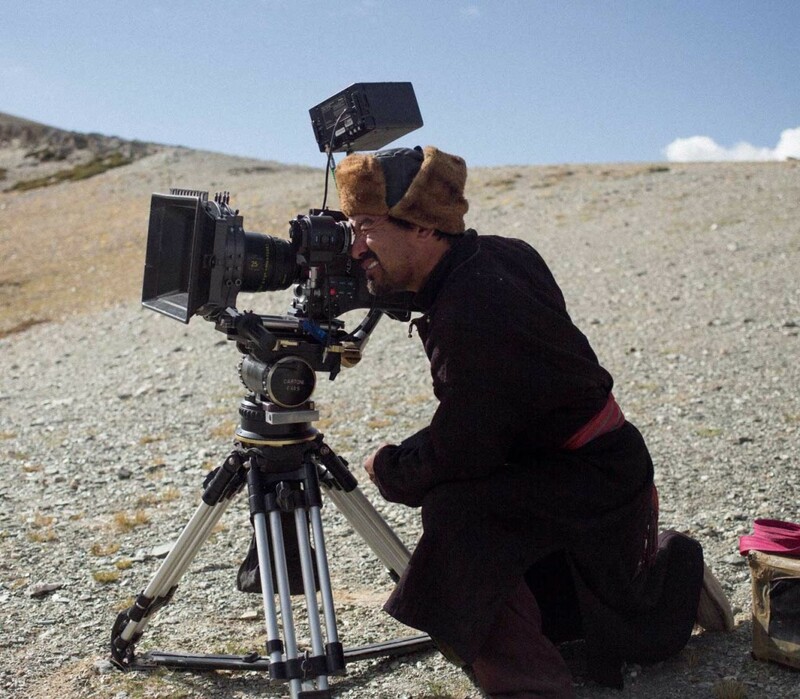 Early on, during the summer months, little Tashi would lead the goats and sheep up to the pasture regions, where the undemanding animals could find some edible plants in the arid mountainous desert. Mostly alone, his duty included protecting hundreds of animals from hungry wolves, wild dogs, eagles, and other threats. Equipped with a slingshot, and with his faithful dog Tommy on the side, he spent hour after hour kilometers away from the nearest adult. In an age where most children on the west are hardly ever left without supervision, he was a responsible boy who not only took seriously his role as shepherd, but also really enjoyed it. To this day, he colorfully remembers this time as one of the most beautiful of his life. And yet he wanted to leave the village, go to school, and learn about the big wide world… But many years would have to pass before his wish came true. One of the funniest childhood stories of Tashi is about when he met foreigners for the first time in his life. The event must have taken place at some point in the mid-70s, since access to Ladakh was not possible for foreigners before 1974. Even before he saw the first angres (modern Ladakhi term for outsiders), his mother had told him about the “hippies” (an older synonym for foreigners) that she had seen at the Hemis Festival. “Their hair was golden like the sunlight, soft as velvet, and smelled of flowers. And their eyes were as blue as the water of the river Shyok in winter.” It isn’t surprising then, that Tashi and the other kids from the village took the first foreigner they saw for a Sringpo: a monstrous giant from legend. He was a big man, bigger than the tallest men of the village, and the children were naturally terrified. To add to their fascination, the giant slept in a balloon! (Later proved to be a tent ;-)). He also looked at things and people through a mysterious machine that allowed him to paint impossibly realistic pictures (a camera, of course). Tashi and the other children brought the giant food, with the intention of appeasing him, so he would cause no problems. The other villagers brought him milk and other delicacies. At some point they figured out that he was just a man, whom the police and armed forces could deal with easily, and the fear of a giant-fueled havoc quickly faded. But soon they also realized that the “Hippie” was actually a very nice guy, and they begged the soldiers not to kill him. (The entry into Nubra was not yet allowed – only much later, in the 90s, was Nubra opened to foreign visitors. In any case, the soldiers had no intention to kill him, and simply pointed him the way out of Nubra). 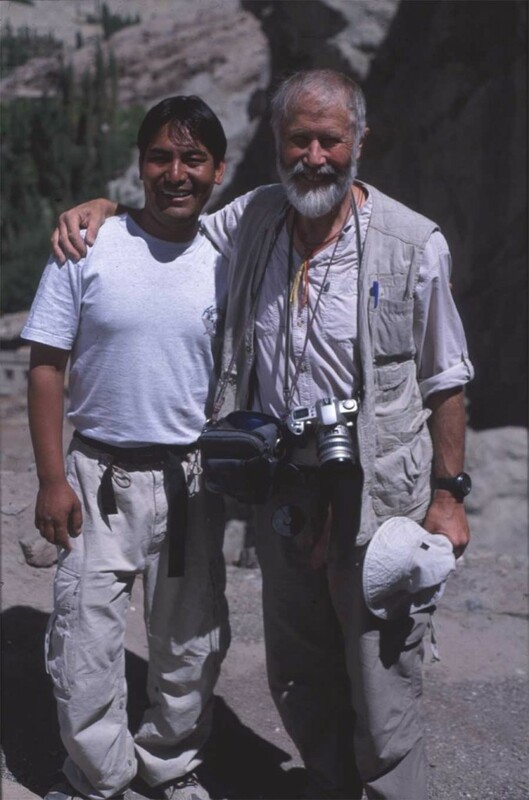 Many years later we were able to elicit that this Sringpo was a Swiss geologist, who by now has probably passed. As childhood approached its end, the moment came to leave Khardong village behind. Tashi’s desire to go to school had to be fulfilled. Turning his back to the pastures where his sheep and goats peacefully mowed the grass, he stepped on a long, long journey. Suddenly, 2,500 km as the crow flies separated him from everything he had known so far in his 11 years of life. He was sent to Bangalore, the capital of the southern Indian state of Karnataka, where everything was unspeakably different and strange: the climate, the people, the food, the language, the society, the rules. An 11 year old boy, who could only speak Ladakhi, and incapable of reading or writing even on that language; with next to no knowledge or instruction in math, history or science; that had lived his whole life without electricity and had never even ventured beyond the borders of Nubra, the northernmost district in Ladakh… It would have been quite a shock for a resourceful adult. For a young boy, it was an existential earthquake. 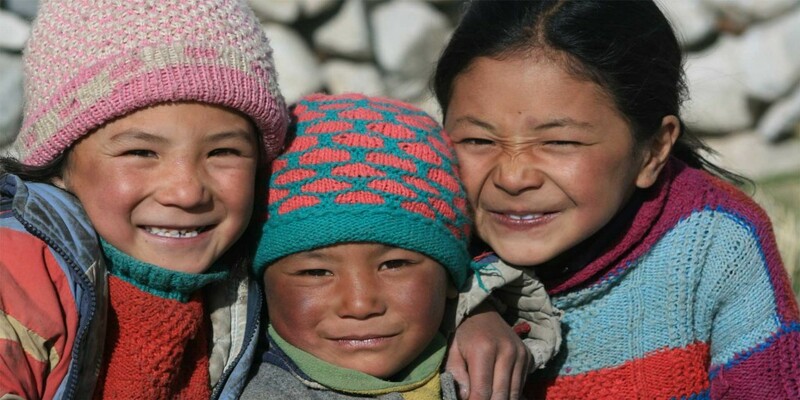 He was one of many Ladakhi children chosen by the Mahabodhi Society – a charitable Buddhist community – and given the chance (or the gift) to go to school. It was a strict but good education, and Tashi is still grateful for this opportunity. Occasionally, he also spent some time in the Buddhist school in Ladakh, returning always eventually to Bangalore, where he worked in the hospital of the Mahabodhi Society, especially massaging patients affected with polio. At the same time he continued his studies there, until he finally completed them, graduating as the 10th of his class. Only then did he return home for good. After a few other jobs, Tashi finally landed one in the tourism field. And then he made his way. He was first hired as an assistant, then sometimes as a chef – which turned out well if only because despite his nonexistent cooking skills, he could always persuade someone else to cook in his place. Finally, he found work as a tour guide. The years as a shepherd in the mountains and the subsequent schooling in a Buddhist setting were retrospectively a good basis for his job as a guide. 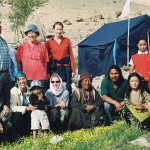 But the biggest school was working with the tourists themselves, from whom he learned a lot – for example, from British wildlife fans he learned about the animals (particularly birds) of Ladakh, and his technical knowledge about climbing and mountain survival skills comes especially from working with leading mountain guides from around the world. And he also traveled with his guests: Tashi was allowed to work as a guide in almost all corners of India, and was one of the few in the region of Ladakh working all year long – in Rajasthan, Uttarakhand, Bhutan, Sikkim and Darjeeling, Himachal Pradesh… He has worked with guests from all around the world and to this day is still in contact with many of them. He loved to be a guide and even today he speaks of that time as one of the most light-hearted in his life: to have no home, being always outdoors, sleeping on rooftops, hotels or at friends’ houses, always ready for new adventures, the wind of freedom blowing in his face. At some point though, he realized that life as a tour guide is not really compatible with that of a romantic partner or a loving husband, so he decided to take a step back and settle. But he didn’t abandon his passion completely: he saved a piece of the cake, a part of that world that he loved so much… and that’s how Gesar Travel, the child of his love for tourism, was born. Tau Seru Trailer from Rodd rathjen on Vimeo. It is fun to know more about the people behind a company, isn’t it? 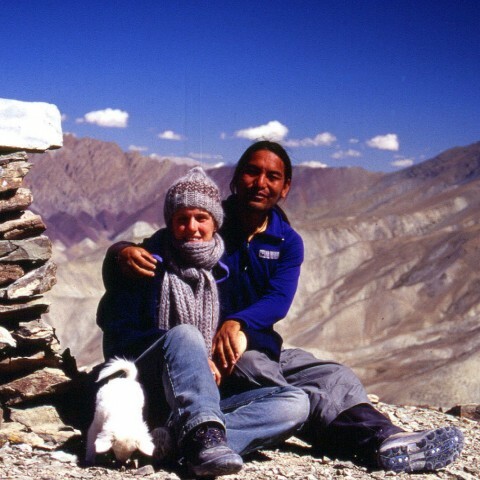 So read also the story of Tashi & Daniela, the woman, for whom he left his job as guide.